Japanese warrior vector illustration with swords. 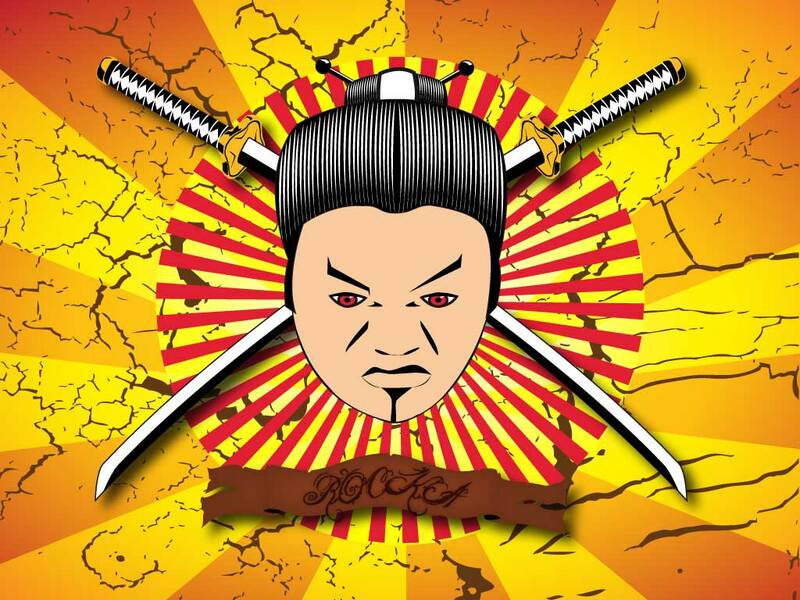 Download this cool samurai design for your posters, websites, blogs or illustrations. Great texture and abstract rays layout make up the backdrop for this unique design. Tags: Aggressive, Angry, Japan, Japanese, Katana, Rays, Swords, Texture.